The special parts are excluded. The bolts/nuts in these tables have a strength (discrimination) number/symbol assigned to the head or the like. 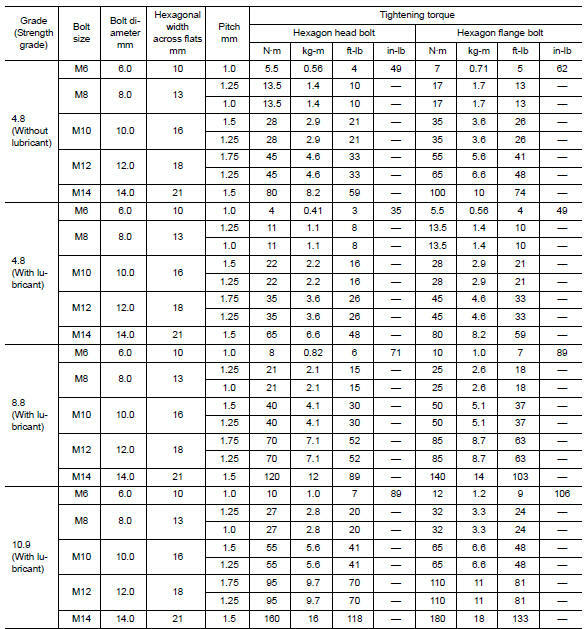 As to the relation between the strength grade in these tables and the strength (discrimination) number/symbol, refer to вЂњDISCRIMINATION OF BOLTS AND NUTSвЂќ. Use tightening torque with lubricant for the new standard bolts/nuts in principle. Friction coefficient stabilizer is applied to the new standard bolts/nuts. However, use tightening torque without lubricant for the following cases. 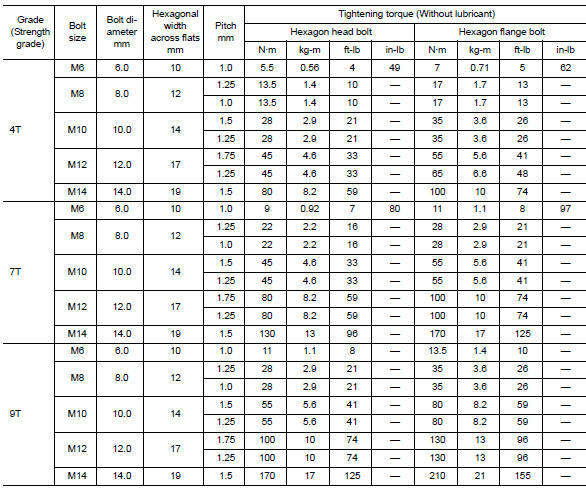 Friction coefficient stabilizer is not applied to the following bolts/nuts.